There are so many legal issues where love is involved. 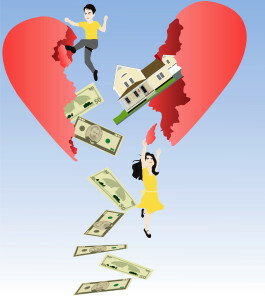 There is marriage and divorce; there are property deals within families and estate issues. But where divorce is concerned, when children are involved there is child support to consider. If you are divorced with children, chances are that there is a court order in place for one parent, usually the non-custodial parent, to pay some of the expense of raising the children to the parent with legal guardianship. However, sadly, that does not always happen. In one case, which is not unusual, a father moved out of state without telling his ex-wife where he was moving. He also stopped paying child support. In this case, there was no court order establishing child support; so what do you do? This is one case where social media may be your friend. Nowadays, it is almost impossible to completely disappear; one way or the other, your sins may find you out through social media. You will want to contact child support services for starters. They have certain means to find the other parent in order to establish a child support order. It can be difficult if the person has moved out of state; you will have to get them back in the state in which the divorce happened in order to get the ball rolling. In some instances, you can file a contempt order, but that can be very difficult to enforce if you can’t get the person back into the state. Another thing you should know if you are having trouble collecting child support that is owed your children: a person’s wages can be garnished no matter where they live. That is another avenue your lawyer will look at.